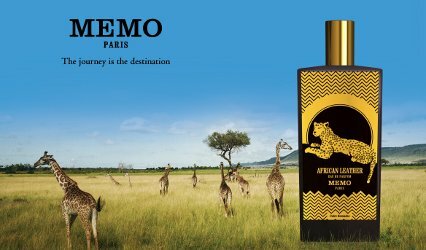 French niche line Memo will launch African Leather, a new unisex fragrance. African Leather joins Irish Leather, Italian Leather and French Leather in the Cuirs Nomades collection. African Leather was developed by perfumer Aliénor Massenet. The spicy floral leather features notes of cardamom, geranium and leather; additional notes include bergamot, saffron, cumin, patchouli, oud accord, vetiver and musk. Memo African Leather will be available in 75 ml Eau de Parfum. Yes, the Memo I wanted to love because of its bottle is the first scrubber I’ve had! But a lot of the Memo bottles are great so I am sure I will discover one of their fragrances is great too. I would like to like this one. Well, I love the bottle AND the juice! It smells like a fine Moroccan leather bag that’s full of sweet spice buns and recently shaved bits of sandalwood, with a big red rose right in the middle. Or said bag spritzed with both Safran Troublant and Tam Dao? Definitely less sweet than Safran Troublant, but the creamy spiced rose note is there. It also seems like it might be a massive perfume if sprayed — I put on two dabs from a sample vial and my husband called out from across the room, “What are you wearing? That one’s so good! I could wear that, couldn’t I?” Five days later I can still smell it on my sweater.